Back in September, we gave an early look at our Flight Search feature, which was developed to help people find faster, more flexible, and more useful results for online travel searches. 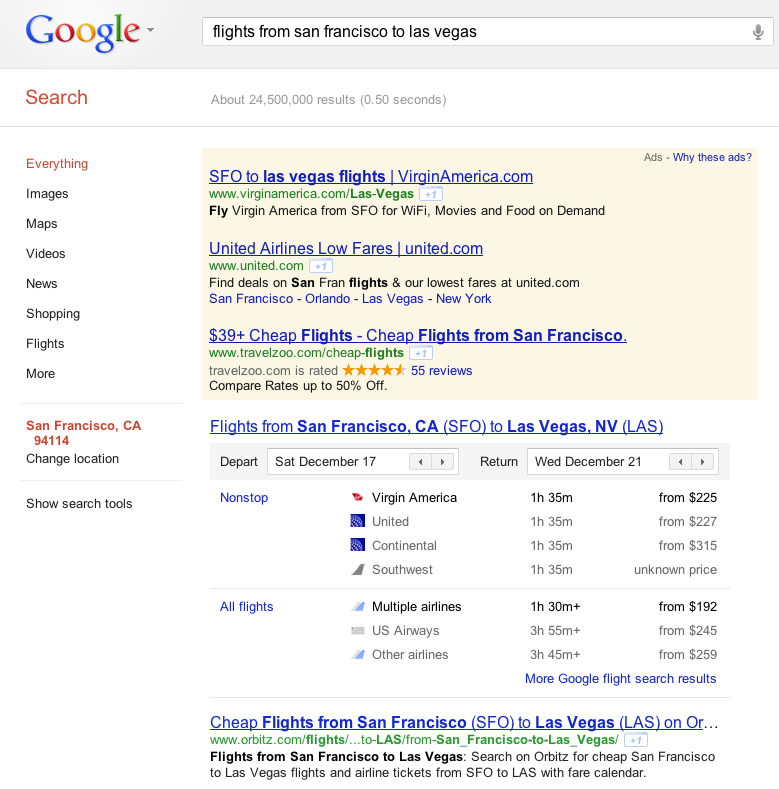 Starting today, we’ll begin showing flight information right in your Google search results on certain flight related searches. 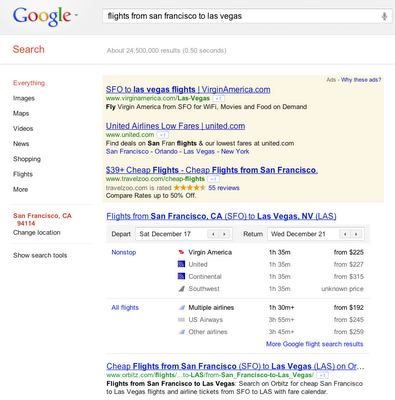 For example, if you search for [flights from San Francisco to Las Vegas] you’ll see a table that shows available flights, including duration and prices. You can adjust dates on the page, or click any flight to further research and book your trip. Once you've booked your flight and are on your way, if you're traveling through one of the many U.S. airports whose floor plans we recently added to Google Maps for Android, you can easily see where you are and what's around you from the convenience of your mobile device. Happy travels!